From twilight hikes, to festive launch parties and campouts, thousands of Scouts, parents, and volunteers will celebrate nationwide as the Boy Scouts of America welcomes for the first time both young women and young men ages 11-17 into its most iconic program for character and leadership development. For more than five decades, the Boy Scouts of America has been welcoming young women into its Venturing, Exploring, Sea Scouts and STEM Scouts programs. 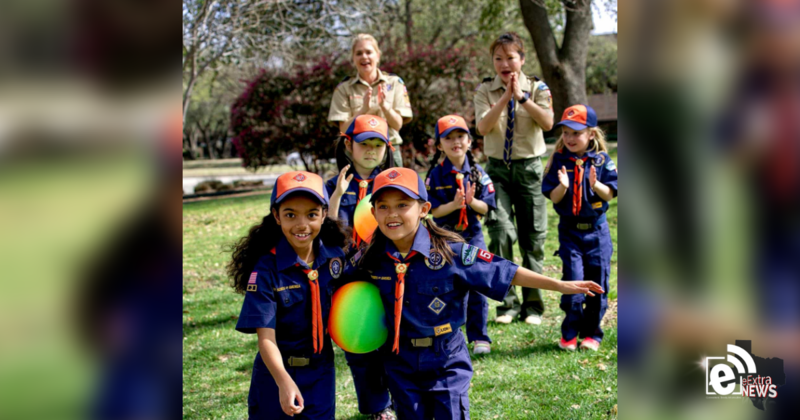 And today, the BSA is further expanding that legacy by welcoming young women into Scouts BSA. By welcoming boys and girls into these iconic Scouting programs, the Boy Scouts of America is responding to the requests of families who, for years, have sought these opportunities for every member of their family. Through participation in all-girl troops, young women that join Scouts BSA will learn from the same program, earn the same merit badges and achieve the same advancements that boys have earned for nearly 109 years in the Boy Scout program. For more than 100 years, the pinnacle of the Scouting experience for some has been achieving the highest rank of Eagle Scout. Starting today, young women can begin the journey toward that goal, and the BSA will ensure that all new Scouts BSA members have a fair opportunity to earn the prestigious Eagle Scout rank. The BSA will celebrate our inaugural class of female Eagle Scouts in 2020. To learn more or join, visit www.Scouting.org/ScoutsBSA. The Boy Scouts of America provides the nation’s foremost youth program of character development and values-based leadership training, which helps young people be “Prepared. For Life.®” The Scouting organization is composed of nearly 2.2 million youth members between the ages of 5 and 21 and approximately 960,000 volunteers in local councils throughout the United States and its territories. For more information on the Boy Scouts of America, please visit www.Scouting.org.